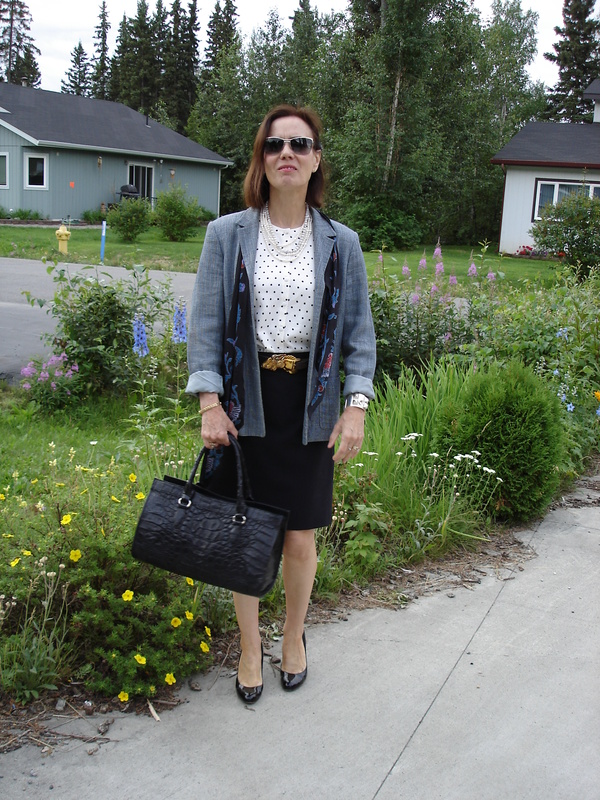 Here I am wearing a polka dot GNW cardigan as a substitute for a blouse. It is warmer and does not require ironing. The skirt and blazer are souvenirs I bought in Germany. The black patent leather wedges are from L.K. Bennett. The three horses belt buckle is a Valentines Day gift from my husband. The silk scarf is Anne Klein.